Mildred, Wash Out Your Mouth! How You Can Be ON Page ONE In 11 Hours FREE! Mildred, Wash Out Your Mouth! How You Can Be ON Page ONE In 11 Hours FREE! Last night I uploaded videos for a new section of the Internet Marketer Training Center. The section is a tutorial section about Periscope Marketing. 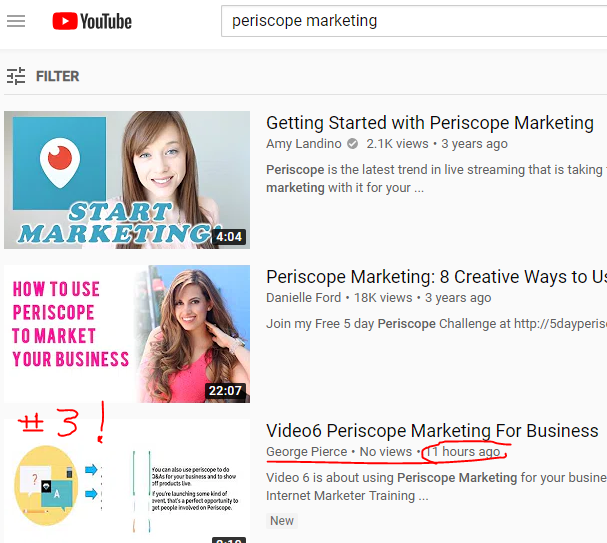 Before publishing, I wanted to do a little more Periscope Marketing research on YouTube (for help with YouTube keywords and to see what my competition was up to). I typed in Periscope Marketing in the YouTube search box. The image below reveals a pleasant surprise. My search revealed that I was on page one of YouTube in the #3 spot in under 11 hours! Allow me to share what I did... which is three simple steps on YouTube, so you can do the same. 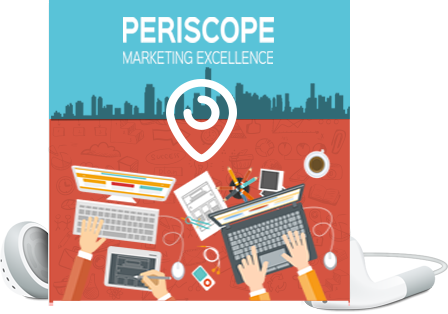 #1: Include your primary keyword or keyword phrase (Periscope Marketing) in your title. #3: Include your primary keyword or keyword phrase (Periscope Marketing) in your tags along with relevant keywords.. The answer is that others do not do this, perhaps they are not aware, Doing what others are not doing often makes a huge difference and as you see above, the difference can happen over night! If you need traffic and who doesn't, try the simple steps above. 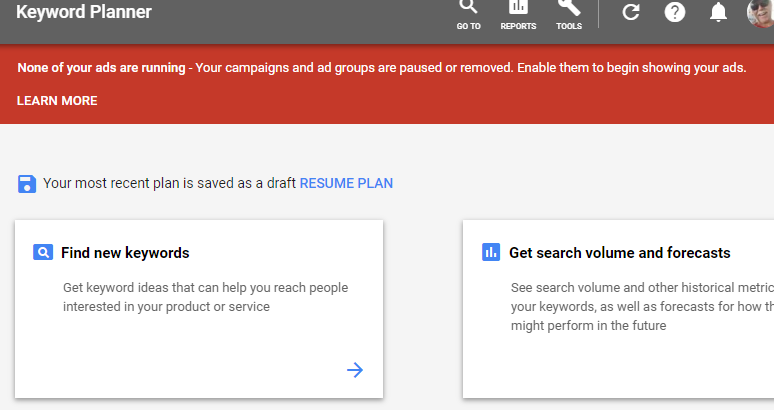 Google Adwords Keyword Tool (free) for keyword ideas and search volume and competition as well as trends and forecasts. FYI: Periscope Marketing is a way to take advantage of video streaming on Periscope, and the market is beginning to come alive. As you type into the search bar on YouTube, a list of ideas will appear. Please be sure to put your link at or very near the top of the description so it can be easily seen and clicked. Getting on page one has little value if your link is hidden down in the description and gets few clicks. Mildred is a sweet and gentle old lady, a devout Christian and almost never misses going to Church. Every Tuesday night between 7PM and midnight, Mildred often cusses quite a number of times. Her cuss words are often quite obscene and very loud. This is certainly not in her character. In an effort to stop, Mildred sought the advice of her pastor. She explained that her cursing was only on Tuesday evenings, but that they so loud and seemed uncontrollable. "How can I stop, Pastor?" she asked. "Apparently something is triggering this problem." responded her pastor, "Do you have any idea what it might be?" "I do!" said Mildred. "It seems to happen every time I hear the word BINGO." This original IBO Press Release is brought to you by Internet Marketer Training Center (IMTC). Periscope Marketing is destined to be the next big thing. You can gain free access to a video tutorial on Periscope Marketing and more (such as Blab and Meerkat) at the IMTC . Once you join, click on the Training tab and then on Periscope Marketing in the right column. You can tap into what is trending!?? 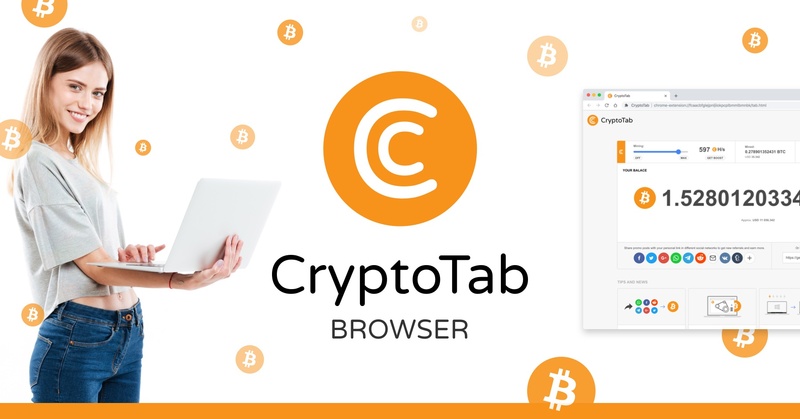 Use Google Trends https://trends.google.com to siphon traffic. Friedlieb Runge is being celebrated today on his 225th birthday by Google. He is the first scientist to isolate caffeine. Caffeine is proven to stimulate our metabolism (while exercising). If your niche is weight loss or health, a tribute or article about Friedlieb Ferdinand Runge can benefit your readers and your traffic. If you write articles or posts, why not tap into 5 Million searches? Wells Fargo is in its second day of restoring its systems due to an outage. The outage has caused a number of headaches for customers and Wells Fargo, especially companies that use Wells Fargo for payroll purposes. If your niche is related to money, wealth building, investing, etc., consider a post about Wells Fargo with over a million searches to tap into. 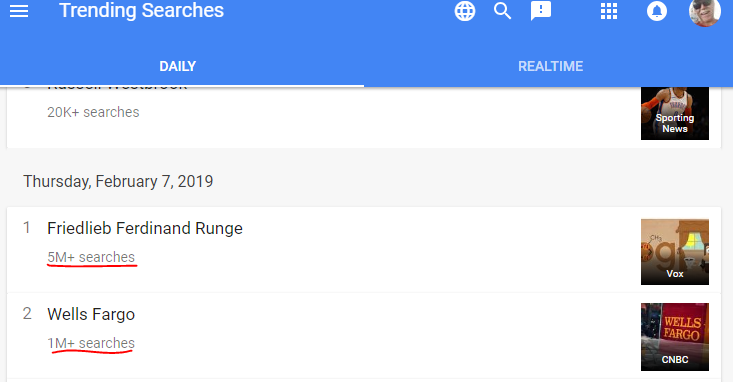 FYI: Google Trends can also help you with your niche and keyword research as far as as trends, of course, but also to learn the global location of searches. Thank you for reading, my friends. I wish you much success and much traffic.